The three missionaries called to serve in Scandinavia arrived in Copenhagen, Denmark, on June 14, 1850, where they were joined by another missionary, George P. Dykes. This was an opportune time to arrive in Denmark as just one year previously, June 5, 1849, a new Danish charter or constitution had permitted, among other things, a more generous interpretation of the practice of religion. This was not the case in Sweden and Norway.Zobell, Albert L. Under the Midnight Sun; Centennial History of Scandinavian Missions. Salt Lake City: Deseret Book Co., 1950, pg. 2. By the end of 1850, the mob spirit had sufficiently died down in Denmark and the missionaries were able to continue holding public meetings. On the last Sunday of the year, December 29, 1850, there were about 135 members of the church in Denmark affiliated in two branches: Copenhagen and Aalborg.Zobell, Albert L. Under the Midnight Sun; Centennial History of Scandinavian Missions. Salt Lake City: Deseret Book Co., 1950, pg. 15. The year 1851 was an exciting year for the missionaries in Denmark. On New Year’s day, the first man in the mission field to receive the Melchizedek Priesthood, was ordained to the office of an Elder by President Erastas Snow. He succeeded Elder Forsgren as president of the Copenhagen Branch.Zobell, Albert L. Under the Midnight Sun; Centennial History of Scandinavian Missions. Salt Lake City: Deseret Book Co., 1950, pg. 17. Various converts had been ordained Priests in the Aaronic Priesthood and were called to assist the missionaries in their proselyting efforts. New fields of labor were opened and the work continued to progress. Three additional missionaries arrived from the StatesZobell, Albert L. Under the Midnight Sun; Centennial History of Scandinavian Missions. Salt Lake City: Deseret Book Co., 1950, pg. 186. and in March, 1851, twenty-eight hymns were published in an LDS Danish hymnal.Zobell, Albert L. Under the Midnight Sun; Centennial History of Scandinavian Missions. Salt Lake City: Deseret Book Co., 1950, pg. 19. The first foreign language edition of the Book of Mormon was published (in Danish) in 1851, translated by Hansen.Zobell, Albert L. Under the Midnight Sun; Centennial History of Scandinavian Missions. Salt Lake City: Deseret Book Co., 1950, pp. 17-18. The first general conference of the Scandinavian Mission was held in Copenhagen, August 16-18, 1851. The Copenhagen Branch was divided and a Bornholm branch was organized. 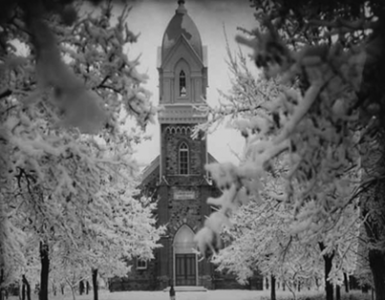 11 Noting that several members of the church, residing in Brigham City, descend from Bornholm ancestry addition information is included in this history. The four Bornholm families, mentioned above, left Denmark about Christmas time of 1853 and arrived in the Salt Lake Valley in October, 1854 with the Hans Peter Olsen Pioneer Company. 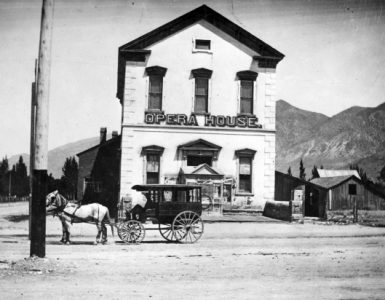 It is not known whether they were part of the fifty families chosen by Lorenzo Snow to settle in Brigham City, but they soon joined their associate and friend, John E. Forsgren, as early settlers. Some time later, Lorenzo Snow recommended that the families change their names so as to be more compliant with the English language and spelling. Jens Kjoller became known as James Keller, Jorgen Jorgensen, John Johnson, Jens Ibsen, James Ipsen. and Vallentine Vallentinsen, Valentine Valentine. 24 However one polygamist branch of the Valentine family spelled the name Walentine Walentine, since that was the pronunciation in the Danish language. Koford, Romer, Folkman, and Sonne are other common Bornholm names of families who settled in Brigham City and Northern Utah.